When your nose is blocked because of cold or flu symptoms, it can feel like your whole day has been ruined. 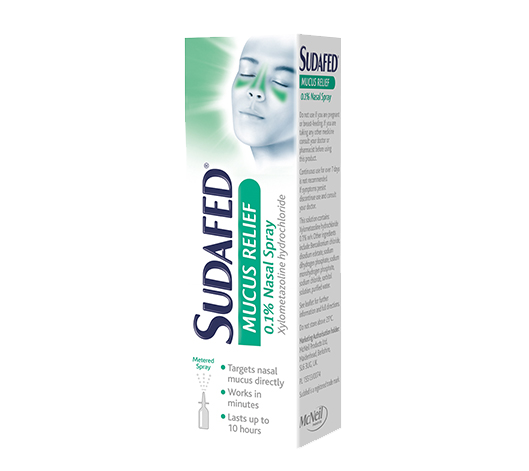 SUDAFED® Mucus Relief 0.1% Nasal Spray is here to help, targeting nasal mucus congestion when sprayed directly into your nose, to help you breathe more easily through your nose. Clinically proven to relieve congestion within minutes, just one application can last for up to 10 hours – so you can get back to your daily routine. 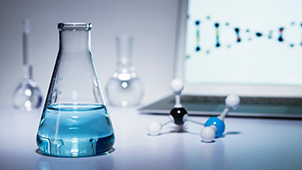 SUDAFED® Mucus Relief 0.1% Nasal Spray’s active ingredient is Xylometazoline Hydrochloride. This decongestant gets to work on mucus congestion quickly when applied directly. Fast, effective and with long-lasting effects, SUDAFED® Mucus Relief 0.1% Nasal Spray reduces the amount of mucus production in your nasal passages, for relief from colds, flu-like symptoms and the congestion caused by allergies.